Alpha Phi Alpha Fraternity Inc. released a statement today about the Waffle House mass shooting that took place on Sunday morning near Nashville and their brother James Shaw, Jr. who stopped the shooter by rushing him and grabbing his gun. 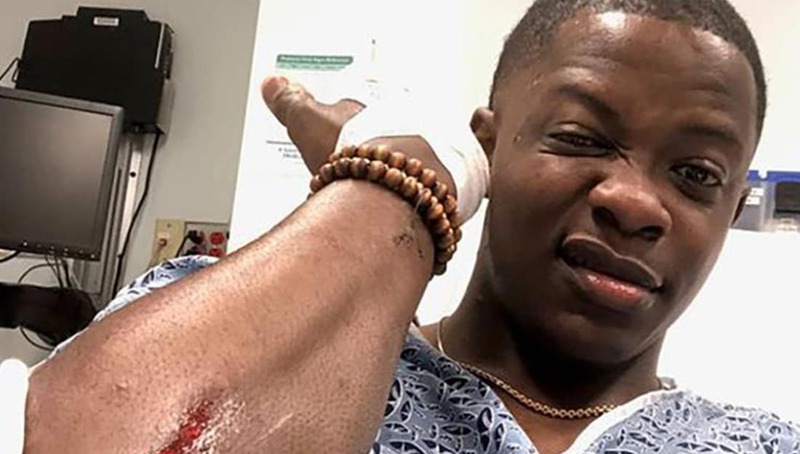 James Shaw, Jr. is a 2011 Beta Omicron chapter initiate at Tennessee State University and was ran into the bathroom to take cover from bullets and then lunged at the gunman when he stopped to reload his AR-15. The 29-year-old wrestled the assualt rifle away from the shooter and tossed it away so that it could not be reached causing the gunman to flee the scene. Alpha Phi Alpha Fraternity, Inc. would like to express our sincerest condolences and prayers to the families of the victims killed and those injured in the Waffle House mass shooting in Antioch, Tennessee early Sunday morning, where a gunman armed with an AR-15 assault rifle killed four people and injured four others. Had it not been for the quick action and courage of Brother James Shaw, Jr., a 2011 Beta Omicron chapter initiate at Tennessee State University and a restaurant patron at the time, who unarmed, wrestled the weapon from the gunman as he attempted to reload, disarmed him and forced him outside, more lives would have undoubtedly been lost. As a Fraternity, we commend and recognize Brother Shaw for his heroism in the face of life-threatening odds. While he has humbly, declared that he is “not a hero,” his unselfish actions are a testament to “Manly Deeds” and “Love For All Mankind,” two of our Fraternal Aims and embodies what our Fraternal Hymn heralds as “the true and courageous.” Brother Shaw’s example provides increased pride among all in our Brotherhood. Sadly, this gunman’s senseless act of domestic terrorism and hate once again underscores the need for action involving gun control and gun violence in this nation. Less than a month ago, hundreds of thousands of Alpha brothers and chapters, students, teachers, parents and victims rallied in Washington, D.C., and across the country to demand tougher gun control measures, spurred by the political activism of young people and others impacted by recent school shootings. The Urgency of Now demands we, as Brothers of Alpha Phi Alpha Fraternity, Inc., remain steadfast in our advocacy on issues that ensure that our community is safe, and that justice will be served.